Philippines President-elect Rodrigo Duterte said on Thursday he would not surrender the country's rights over the disputed Scarborough Shoal in the South China Sea, which China seized in 2012. "There will never be an instance that we will surrender our right over Scarborough Shoal," Duterte told a news conference after holding talks with China's ambassador Zhang Jianhua. "That is not a territorial issue. It is an issue about being obstructed or impeded because of the constructions there and we cannot exercise freely the rights under UNCLOS of the 200-mile economic zone that is exclusive to us." He said he did not discuss the South China Sea dispute with the ambassador because the Philippines was anticipating a decision from a tribunal in The Hague. Manila has brought a case before the Permanent Court of Arbitration against China under the United Nations Convention of the Law of the Sea (UNCLOS). China does not recognise the court's jurisdiction in the dispute. 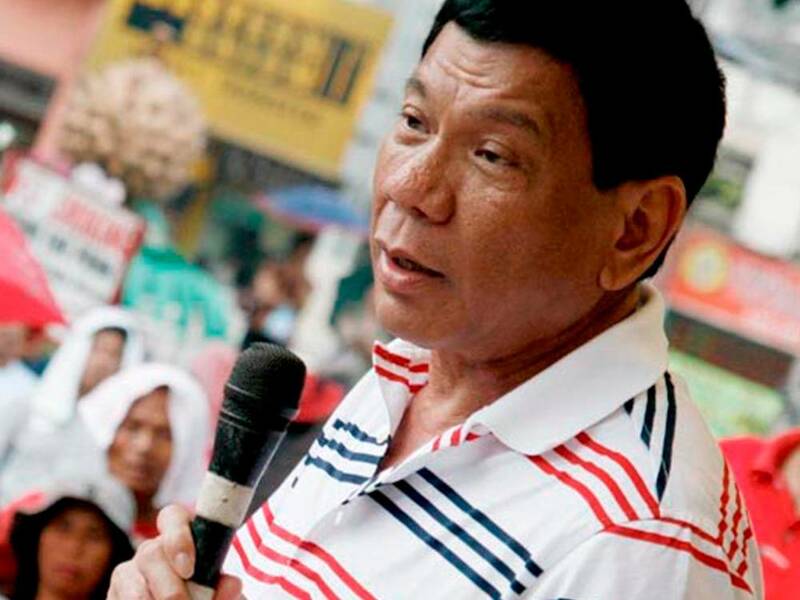 Duterte, a tough-talking mayor who won the presidency last month, said he would pursue multilateral talks to resolve peacefully the sovereignty issues in the South China Sea, where China has built artificial islands on reefs and atolls. China claims most of the sea area, through which about $5 trillion worth of ship-borne goods passes every year. Brunei, Malaysia, Vietnam, Taiwan and the Philippines also have claims on the region, believed to have huge deposits of oil and gas. Duterte made headlines during his election campaign by saying he would ride a jetski to plant a Philippine flag on China's man-made islands.